On May 21, 2010, General Motors filed a trademark application with the USPTO for the word Stingray. Since then, the automaker has been taking advantage of the trademark office’s official procedures to prolong the time its has to complete the registration of the mark; these actions serve to offer hints as to when a vehicle wearing the Stingray nameplate will reach the market. Following the original application in May two years ago, the USPTO published the trademark application for opposition on October 19, 2010 — giving others 30 days to object to the application. It seems that no opposing cases were filed, but GM failed to provide the trademark office with what is known as a use statement — a document that serves as the prerequisite of attaining a trademark providing a description of how the mark will be used in connection with a product or service. Since no use statement was filed, the mark was considered abandoned on July 18, 2011, but GM was quick to file a petition to revive the application seven days later. Since then, the trademark office has granted General Motors the ability to use the Stingray name in association with “motor land vehicles, namely, automobiles”. As of this writing, GM has filed for two extensions of time — sworn statements that the company continues to have a bona-fide intention to use the trademark in commerce, but that it needs additional time to put the mark to use. Now that you’ve had the chance to read our brief introduction to the trademark process, here’s what the Stingray development boils down to for us: GM had plans to use the Stingray name in a real product dating all the way back to mid-2010; this isn’t a case of securing a trademark for the sake of securing it “just in case” — due to a requirement of trademark law that a mark be used in a real product or service within six months of being approved by the USPTO. If a company can’t show the trademark office that it is actually using the name in connection with an actual product or service, then it can request up to five extensions that each lasts six months. Since GM filed its first extension on February 8, 2012, then it has until June 8, 2014 to complete the trademark process and prove to the trademark office that it will use or is using the mark in connection with a product or service listed in the application. As such, we preemptively conclude that we should expect to see a vehicle with Stingray in its name by June 2014 at the latest; the fact that GM plans to use the Stingray name on a future vehicle is validated by the automaker’s ardent and continuous pursual of the Stingray trademark — as it’s difficult to believe that GM would go through the effort of pursuing a mark for longer than two years that it didn’t plan on using in the first place. Couple that with the mere fact that each extension of time requires a sworn statement by the company and/or its representatives that the firm continues to have a bona fide intention to use the mark in connection with all products or services in the application, and it seems that the history of the trademark serves as suitable evidence to GM’s future plans to use the Stingray name in the near future, likely on the next-generation C7 Corvette. Keeping all this in mind, what are you hoping the Stingray will be as it relates to the Vette? Sound off in the comments! It would be kinda cool if the Stingray version of the ‘Vette has a split rear window. Does this mean that they will definitely be reincarnating the Riviera name that was just re-trademarked? I remember somebody, maybe motor trend claiming that there would be a stingray version of the Pontiac Solstice. They should have just used it briefly on a limited edition version of the current vehicle. lol Sting Ray C2 pictured, “Stingray” was the C3. Stingray was adopted in 69′. 1968 got nothing, though. Actually, I thought the C2 (63-67) where “Sting Ray” cars and for model year 1968 it was not used at all. 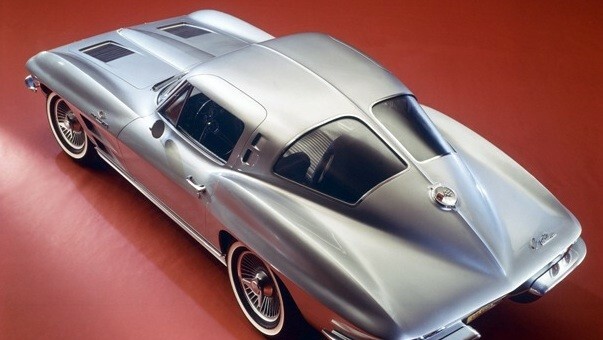 Then in 1969, for the remainder of the C3 (68-82) the name changed to “Stingray,” one word instead of two. Back when they were shutting down Pontiac and Saturn I thought it would be perfect to take the Saturn Sky and call in a Stingray under the Chevy banner. It already had a modern Stingray look (as opposed to the pill shaped Solstice). They could’ve given it a bit more stingray flair. This would have also helped transition the Corvette (even if its just by association with the stingray name) nameplate into using smaller engines. What platform was it on? Kappa if i recall, and Kappa II was in the works. If they were to make the Kappa II now, and make it light, they could have a nice car to go up against the BRZ. Actually if they make the 130R concept with an SS trim (range topping engine same as the ATS 2.0T). That car rides on the Alpha platform (shrunk a bit? ), they might have a hard time nailing the 2800lb curb weight but who knows. Alpha is the successor to Kappa. It’s more than possible to make a Sky/Solstice replacement light as that was one if the pillars of the architecture’s development. Additionally, if the car is smaller, then it can be even lighter. The question is whether light can be made made cost effectively as a Chevy and if lightweight and traditionally more expensive materials such as magnesium and aluminum can be replaced with steel. It’s light sure, you’re the last person I’d have to tell that it’s lighter than a 3 series. But the ATS is still 3300lbs? Give or take a BigMac. BRZ is 2700ish lbs. Can that Alpha platform really loose 600lbs? I know you shrink it say 10″ in length (maybe more as to not compete with the 7th gen Camaro riding on Alpha), and loose the heavy Cadillac bits, but I have doubts they could strip down to the BRZ’ weight. If GM can do a car that comes within 150lbs of the BRZ, has that 2.0T at 270hp as the SS range topper and it handles good (I doubt it would handle like the BRZ does with the boxer engine and low-low-low center of mass) it would be a win.